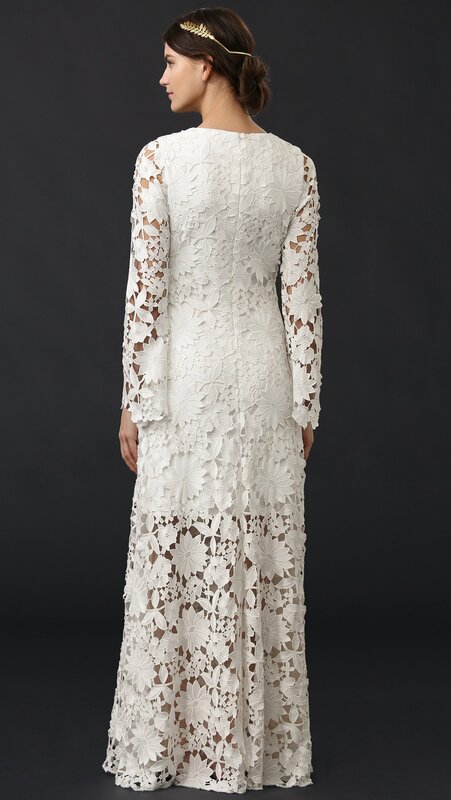 A romantic, embroidered lace Badgley Mischka robe with a marginally of bohemian taste. V neckline. Bell sleeves. Hidden again zip. 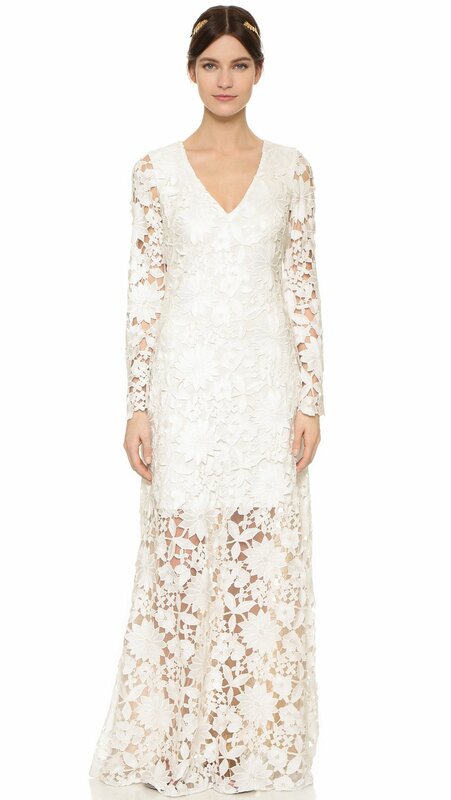 Sheer mesh lining at mermaid hem. Tonal mini get dressed lining.